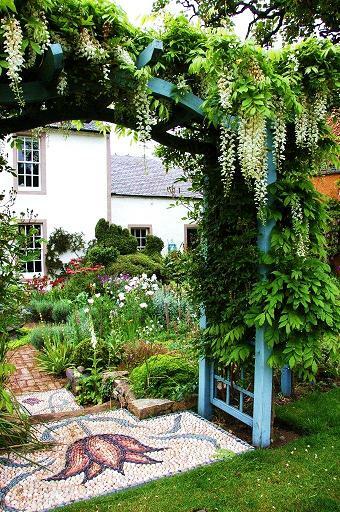 A wonderful small garden with a great colour palate. The creator is a botanical artist. Charles and Ann Fraser have lived at Shepherd House since they married in 1957. The garden has developed slowly over five decades but it was not until their family of four sons grew up that the real passion for the garden started. The garden is approx. one acre and forms a walled triangle in the middle of the 18th century village of Inveresk. 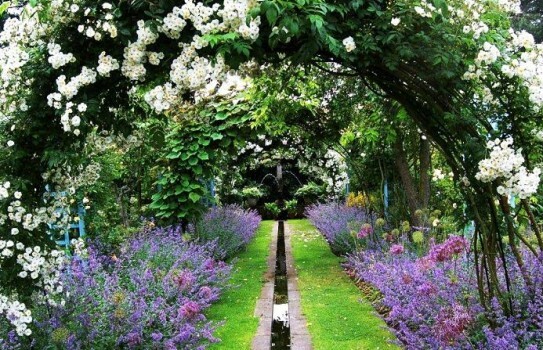 The main garden is to the rear of the house where the formality of the front garden is continued with an herb parterre and two symmetrical potagers. 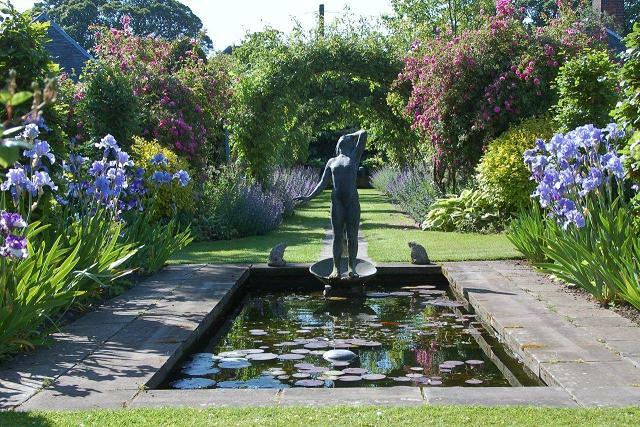 A formal rill runs the length of the garden, beneath a series of rose, clematis and wisteria pergolas and arches and connects the two ponds. 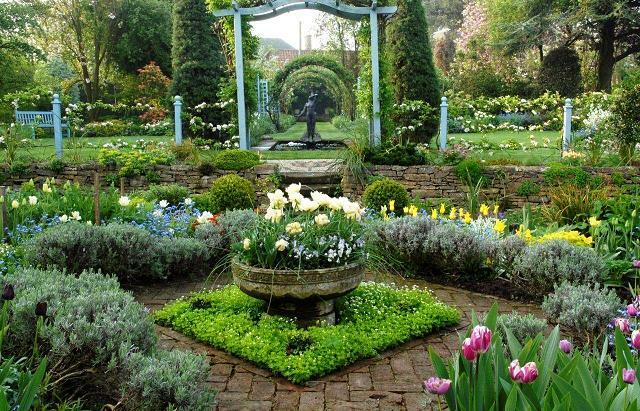 The formality is balanced by the romance of the planting. Ann Fraser is a botanical artist and the garden provides all her inspiration. Everything that she paints is grown in the garden. 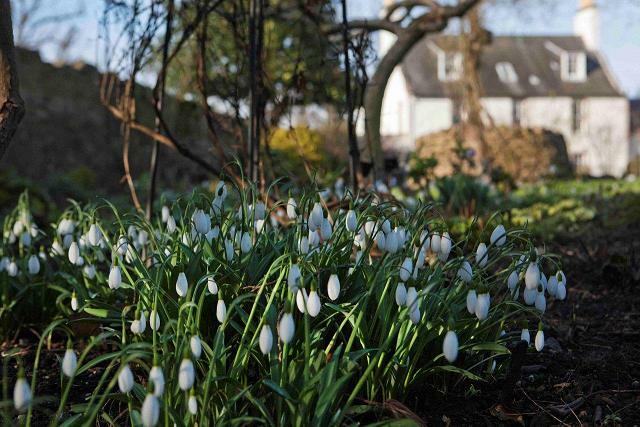 Her favorites are - hellebores, fritillaries, tulips, irises, poppies and a growing collection of specialist snowdrops. There is also a good selection of unusual perennials, trees and shrubs. In 2013 Charles and Ann wrote a book on the garden which is available on our website. The latest addition to the garden is an architect designed Shell House. 2019 - Garden open from Spring. Also open for snowdrops in February. Groups welcome by arrangement. Please see website for more details and other openings.